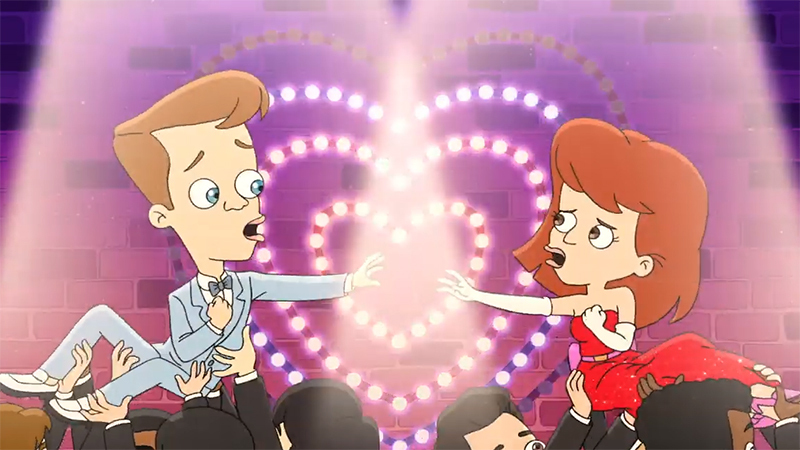 Netflix has announced the streamer will be launching a special Big Mouth Valentine’s Day episode, “My Furry Valentine,” on February 8. Prepare for all of the awkward anxieties Valentine’s Day brings by checking out the trailer for the episode below! Focusing on pleasantries of growing up, Big Mouth is a half-hour edgy adult animated comedy from real-life best friends Nick Kroll (Sausage Party) and Andrew Goldberg about the glorious nightmare that is teenage puberty. Comedian John Mulaney (Saturday Night Live) lends his voice to the character of Andrew, while Kroll (who serves as co-creator, executive producer) voices many including best friend Nick. Additionally, Maya Rudolph (Bridesmaids), Jason Mantzoukas (The League), Jordan Peele (Key & Peele), Fred Armisen (Portlandia), Jenny Slate (Parks and Recreation) and Jessi Klein are among those who lend their voice to the series. At this point, all are expected to return for the upcoming season.